My mother, Delores, is amazing, she had 9 children in the span of 21 years and so she probably was changing diapers and potty training for at least 24 years. I can't even take a couple of days of potty training and a couple of weeks makes me want to pull my hair out! And let's talk about sleep, I don't think my Mom has had a full 8 hours sleep since probably 1956. There are no kids at her home anymore, but after at least forty plus years of staying up late or sacrificing sleep to take care of children, doing laundry, cleaning, cooking, quilting, canning, or baking because she can't get it done during the day with nine kids bugging her, I don't think her body is able to sleep for an eight hour stretch. I love my mother and am so grateful for the wonderful example she is to me. I don't think I will ever be able to come close to accomplishing what my mother has accomplished in her life, but at least I know it can be done and I can look to her for strength when I think I can't or don't want to do it. 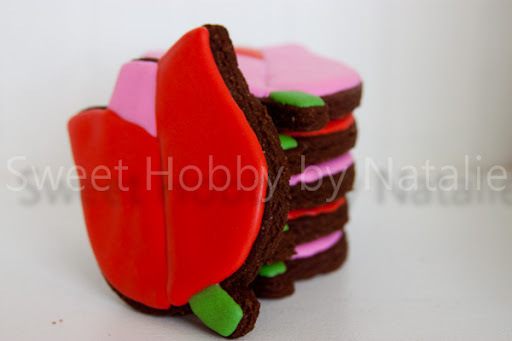 Earlier this week I thought I should do something more than just send a card for my incredible mother on Mother's day and the thought hit me, "duhh I should make her some cookies." 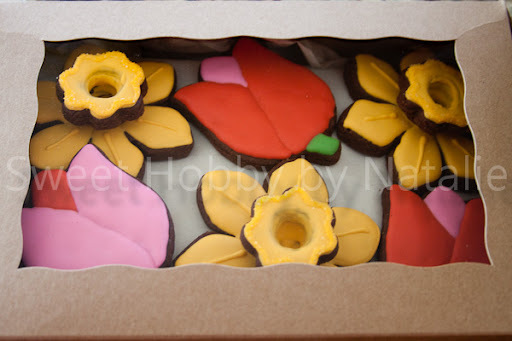 Better yet, some flower cookies. 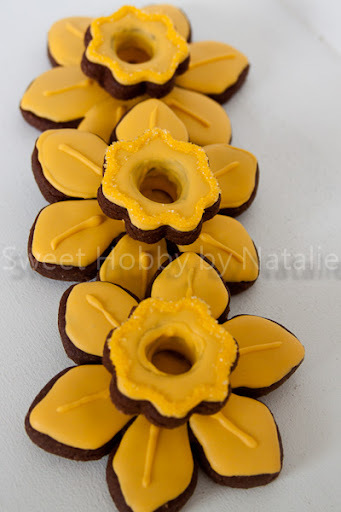 I saw these daffodil cookies on LilaLoa's blog a while ago and thought they would be fun to try. The 3D effect is pretty cool. 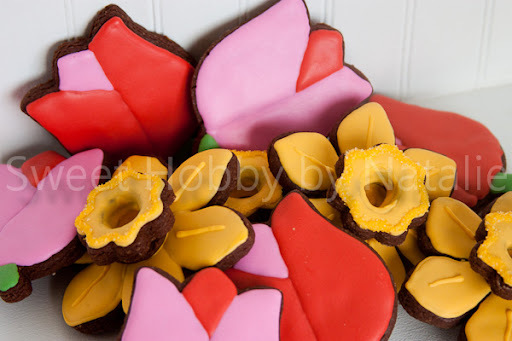 And who doesn't like tulips! Surprised that I thought of doing this in time to have the shipped to their homes before Mother's Day. Happy Mother's Day to all you wonderful mother's out there. You are amazing!